Fresh hits on property investors make many question if it’s worth it? This week’s Budget crackdown on two key residential property tax deductions is the latest in a series of attacks to cause alarm among the nation’s three million real estate investors. Sharp rises in interest rates, tougher regulations, and warnings of looming price falls have made property investing more expensive and murkier. Finance specialists say there are many variables but property still stacks up as a long-term investment. 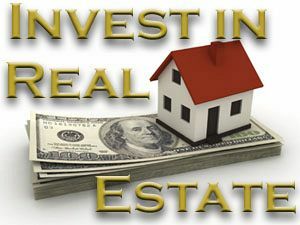 Some argue that if you don’t buy real estate, there are few good alternatives. Do you invest in volatile shares, or ultra-low bank interest rates that effectively lose money? While interest rates on investment loans were identical to owner occupier loans two years ago, recent rises are costing investors thousands more each year, just as forecasters predict property prices to flatten or fall. This week’s budget delivered a double-whammy to investors, banning tax deductions for travel expenses and limiting depreciation deductions to new items and new properties only. Yellow Brick Road executive chairman Mark Bouris said real estate investment was less attractive than it was three years ago but remained attractive compared with other investments. “Just on pure mathematics, logic and common sense it should be part of your portfolio,” he said. The ability to borrow money using equity in real estate, claim tax deductions on investment loans and other expenses, earn income from tenants and build a larger asset base using other people’s money remain big positives for property. Mr Bouris said investors today might earn less than 2 per cent from money in the bank and “you pay tax on that, then take away inflation and you are losing money”. BMT Tax Depreciation CEO Bradley Beer said Budget changes made buying second-hand properties less attractive. “If you buy a house from someone and it’s three months old, you won’t get to claim on your three-month-old stove or carpet, and that’s not right,” he said. The Budget change still allows investors to make a building write-off, typically 2.5 per cent of the building cost each year. Mr Beer said BMT’s investor clients averaged a $10,000 annual deduction each year for depreciation and building write-offs combined. Canstar group executive of financial services Steve Mickenbecker said the Budget changes would cost investors money but were “at the smaller end of the equation in terms of whether property investment works or not”. “The big deal is that negative gearing is still in place,” he said. Experts say taking a long-term view of property investing is vital. “The issue with property investing is that there will be flat periods in most markets at some point, and it can go backwards, which of course is disturbing,” Mr Mickenbecker said.